Bharti Airtel shares were trading higher 3 per cent at Rs 351 on the BSE on Thursday after the telecom services provider fixed April 24 as record date for its proposed Rs 25,000 crore rights issue. The Committee at its meeting held on April 10, 2019, has fixed the Record Date for the purpose of determining the shareholders eligible to apply for the equity shares in the rights issue on Wednesday, April 24, 2019,” Bharti Airtel said on Wednesday after market hours. At 11:04 am; Bharti Airtel was the top gainer among S&P BSE Sensex and Nifty 50 stocks. The trading volumes on the counter jumped three-fold with a combined 8.8 million equity shares changed hands on the NSE and BSE so far. On February 28, Bharti Airtel has announced rights issue to raise up to Rs 25,000 crore through issuance of fully paid up shares at a price of Rs 220 per share, and an additional Rs 7,000 crore via foreign currency perpetual bond issue. 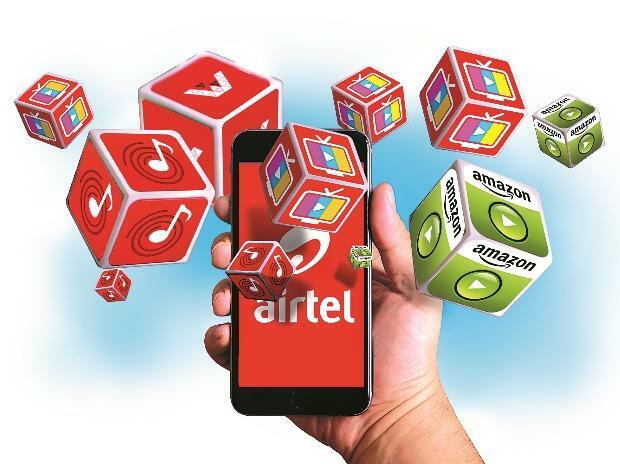 Meanwhile, analysts at Elara Capital expects Bharti Airtel to report an ARPU (average revenue per user) increase of 6.5 per cent quarter on quarter (QoQ), aided by the introduction of time-bound minimum recharge plans in 3QFY19, full-quarter impact of price hike taken in December 2018 and robust 4G subscriber addition from expansion of broadband coverage. “We will watch for Bharti Airtel management commentary on the impact of minimum recharge plans introduced in October 2018, 4G subscriber addition rate & data subscriber acquisition strategy, strategy to retain high ARPU 2G subscribers, India capex plan on coverage, capacity & fiber-to-the-home, and content tie-ups,” brokerage firm said in telecom quarterly preview. Analysts at Edelweiss Securities estimate Bharti's India mobile business revenues to improve by 1.5 per cent QoQ on account of the full impact of minimum ARPU plans for low-end customers. “We believe that weeding of the bulk of the subscriber base is behind and we will see meager 3.5mn subscriber decline in this quarter (48.5 million in Q3FY19). The full impact of subscriber rationalisation will also result in a sharp jump in ARPU (Rs 120 versus Rs 104 for Q3FY19). Africa business is expected to remain flat QoQ. Consolidated EBITDA margin expected to marginally improve by 60bps QoQ on account of higher revenue from India business and lower energy cost in India business,” the brokerage firm said quarterly preview.